Search for the murderer continues after Asst. 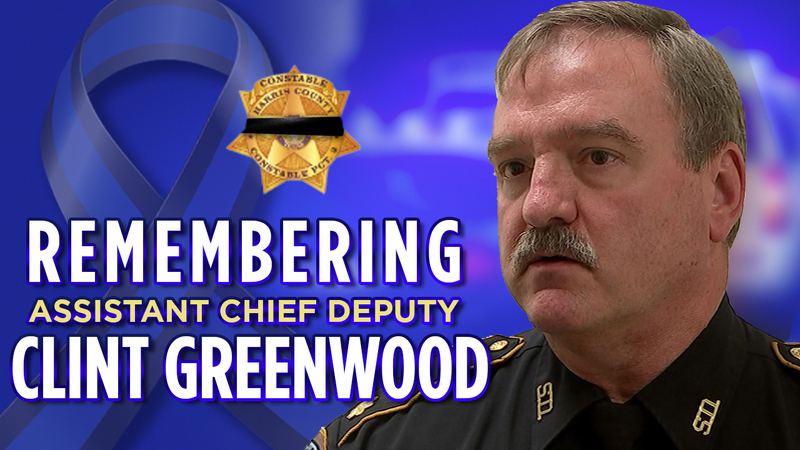 Chief Deputy Clint Greenwood was fatally shot in Baytown. BAYTOWN, Texas (KTRK) -- Baytown police released new video and a suspect description in the murder of Harris County Precinct 3 Assistant Chief Deputy Clinton Greenwood. Police said they are looking for a white or Hispanic man, approximately 6' to 6'3 tall, short hair and medium to stocky build. The suspect was possibly wearing a dark jacket with a patch on the sleeve and was seen in the area around the time of the shooting, according to police. Meanwhile, we know that there was a black vehicle seen leaving the area of the Baytown courthouse where the shooting occurred. Police did not release a description of the vehicle or a license plate number. Investigators continue to search for a possible suspect in the tragic ambush killing of Assistant Chief Deputy Clint Greenwood early Monday morning. Greenwood was ambushed in the back parking lot of the courthouse on the 700 block of West Baker just after 7 a.m. Monday. He was hit in the neck. Investigators said Greenwood was shot in the neck and radioed for help, reportedly saying "I'm bleeding out." A blue line flag was placed outside the courthouse this morning by an employee where Greenwood was shot. "It's a flag that unites all of us in law enforcement, as Americans, as members of the law enforcement community it reminds us to stay united, one fight," Pct. 3 Chief Clerk Jill Harrison said. Harrison said staff and all those who work at the courthouse are still trying to cope with the violence that happened in their parking lot early Monday morning. "It's surreal. Clint was first one here every morning, usually bringing breakfast, but we have a job to do and we would not be doing right by Clint if we did not get in there and do our jobs," Harrison said. Baytown police officers stopped vehicles arriving at the courthouse, asking them if they had seen anything or anyone before the shooting. 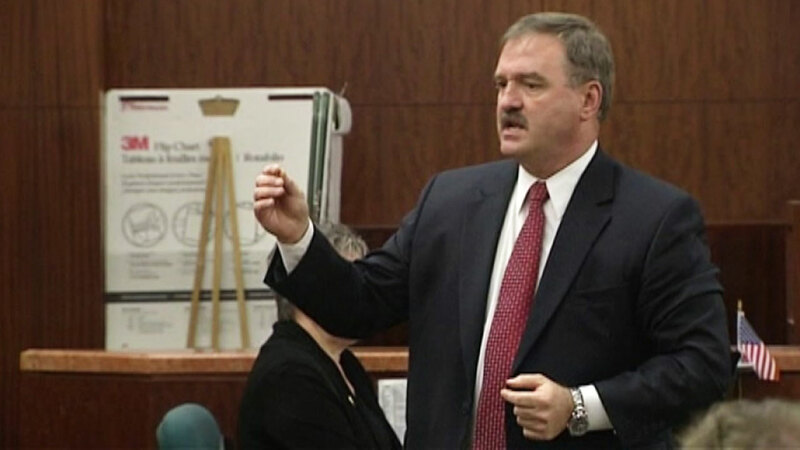 Eyewitness News learned that Greenwood spent years working on public integrity and police corruption. Investigators are looking at past cases involving former law enforcement officers who may have held a grudge and several recent terminations at the precinct. Houston Crime Stoppers, Baytown Crime Stoppers, the FBI, the Office of the Governor's Criminal Justice Division and a concerned citizen are offering a combined reward of $65,000 for any information that leads to the arrest of the suspect in this case. Police are asking if anyone recognizes the vehicle or has any information about this case to contact the Baytown Police Department at (281) 422-8371 or Baytown Crime Stoppers at (281) 422-TIPS (8477) or Houston Crime Stoppers at (713) 222-TIPS (8477). Newly released surveillance video and description of suspect in deadly shooting of deputy constable.